The exterior of the 2019 Camaro features a more prominent upper grille that flows into redesigned LED headlamps. LAS VEGAS -- Chevrolet is expanding the availability of its popular 1LE track package and 10-speed transmission as part of a refresh of the Camaro for the 2019 model year. The exterior of the 2019 Camaro features a more prominent upper grille that flows into redesigned LED headlamps. In the rear, the car's signature dual-element taillights are more sculpted than those on the current model. SS models of the refreshed car will be available with a 10-speed transmission, while Chevrolet has expanded the 1LE package to the 2.0-litre four-cylinder turbo engine -- making it available across the car's lineup. "We really think we have a winner here," Chevy Camaro Chief Engineer Al Oppenheiser said here during a preview of the car last week. "We now have a bookend for the lower part of the Camaro spectrum." FE3 suspension with larger diameter front and rear stabilizer bars, specifically tuned dampers, stiffer rear cradle bushings and cross-axis ball joints in the rear tow links that enhance lateral stiffness. Split front/rear summer-only tire sizes. Brembo brake package with low-metallic performance pads. Driver Mode Selector with Sport Mode and new Track Mode; Competition Mode (within Sport and Track Modes). The 2.0-litre four-cylinder engine with 275 hp and 295 pound-feet of torque carries over to the refreshed model. Other enhancements for the 2019 Camaro include an upgraded infotainment system and standard seven-inch diagonal colour touchscreen. The refresh was announced just three months after annual Canadian sales of the Detroit Three’s muscle cars surged 9.5 per cent in 2017. Sales of the segment-leading Ford Mustang, Dodge Challenger and Camaro were all up last year to a combined 14,812 vehicles. It’s a different story in the United States amid increased pressure in the muscle car segment, as the Challenger has been making gains on the Camaro and the segment-leading Mustang has grown its lead over the Camaro there. In a down market for sporty cars, Camaro sales last year fell 6.6 per cent to 67,940 units -- the lowest full year of sales since the company resurrected the nameplate in 2009. That compares with 81,866 Mustang sales in 2017 (down 23 per cent), followed by 64,537 Challenger sales (up 0.2 per cent). Combined Mustang-Camaro-Challenger sales fell 12 per cent last year. 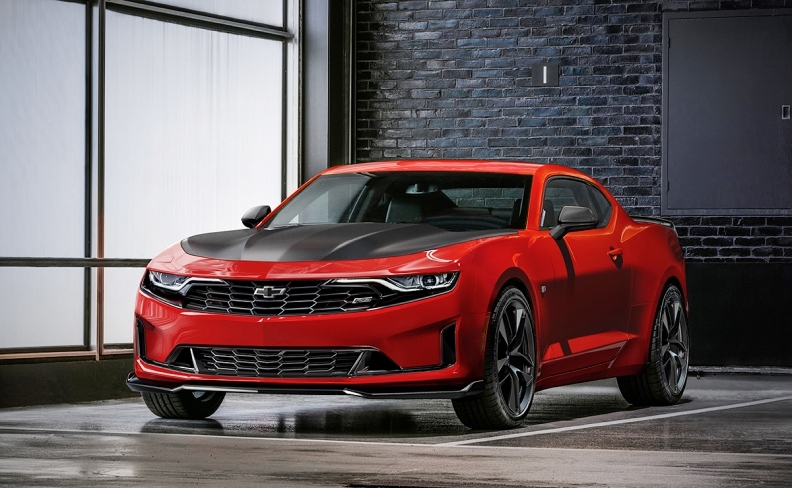 The 2019 Camaro comes days after the automaker announced refreshed versions of the Cruze, Malibu and Spark for the 2019 model year.